We are happy to start of this new year with a brand new mix from one of our absolute favorite DJ's. The mysterious and talented Mamma's Hand from Italy. 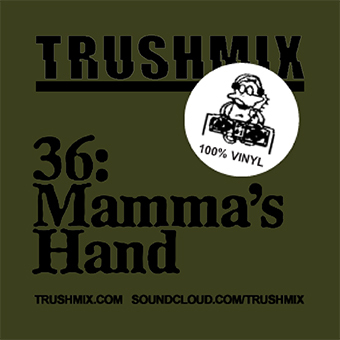 This weeks trushmix is his excellent selection of boogie, 80's disco, italo which moves into some true underground techno sounds and rounds of with a fabulous epic piece of funk music. This is a mix from the top, as always from this guy. The best possible way to start of this new year! Feel it! It was done with an arm and a half during the period after the accident at sea. mia Mamma, Francesca, Matteo, Dario, Rabih, Andreas, Ufo, Wania, Mania and Amfibia.